Bowen Byram was but a four-year-old when the IIHF World Junior Championship last came to his home province of British Columbia. 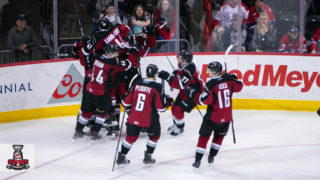 As Canada won gold on the strength of stellar performances from Western Hockey League Alumni Blake Comeau and Justin Pogge, the Vancouver Giants were also in the midst of being on the rise, winning the WHL Championship that year and capturing the Memorial Cup a year later. 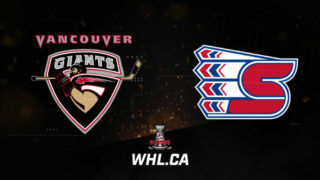 Now, the Giants are rising again as the prestigious international tournament prepares to return to the Lower Mainland this December and the pathway for Byram to make it onto Canada’s National Junior Men’s Hockey Team is clearer than ever. Tuesday, that pathway will take him through his familiar stomping grounds of the Langley Events Centre for game two of the 2018 CIBC Canada Russia Series. “It was pretty neat feeling to get recognized as one of the top guys in the Western [Hockey] League,” said Byram. “It’s pretty cool, especially being a bit of a younger guy. One of six defencemen named to Team WHL’s roster for the event, Byram is lone draft-eligible player from this year’s group on the blue line. 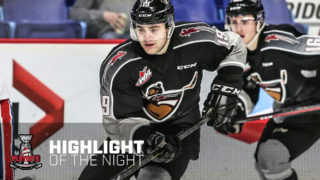 Byram has been listed as the top defencemen available at the 2019 NHL Draft, no small feat in any year. While there will be some strong competition surrounding him, Byram is hoping he can show the top member of Hockey Canada that he has what it takes to play at the international level again. He’ll get to show them in an arena he’s come to adore since the Giants made him the third overall selection at the 2016 WHL Bantam Draft. Byram is a big reason why the Giants have surged to the top of the Western Conference this season, but he hasn’t been the only one. Arizona Coyotes prospect David Tendeck has also been at top form as well. Another B.C. product on this year’s roster, Tendeck will be looking to find success as well in the two-game series. 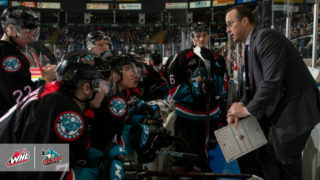 Giants head coach Michael Dyck was eager for both of them to make the most of the opportunity. “For them, they’re trying to prove that they’re good enough to take the next step and represent our country,” noted Dyck of his two players. “They’re going to do whatever they can to show what they’ve got to the coaching staff. 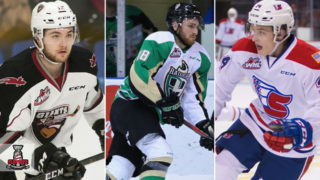 As for the fans at the Langley Events Centre, Dyck felt it would be a solid start to the bevy of international talent that’ll be playing in the area over the next little while. 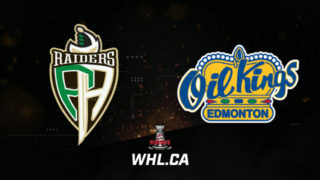 Byram will get a chance to draw on some new connections during the first two legs of the CIBC Canada Russia Series, while also drawing on two others. In addition to his familiarity with Tendeck, Byram has suited up with fellow Western Conference defenceman and New Jersey Devils prospect Ty Smith. The pair played at the World Under 18 Championship last spring. As two left-handed defenceman, it’s unlikely they’ll see the ice together, but Byram was looking forward to whatever player he was paired with when the puck dropped. As for playing with Tendeck, the chemistry between the two was already there. The 2018 CIBC Canada Russia Series opens with Game One in Kamloops on Monday, November 5 (8:00 p.m. MT). The series shifts to the Langley Events Centre for the second game on Tuesday, November 6 (8:00 p.m. MT).